~ Musings from Boston, Mexico City, and Beyond! What we think of as Monterrey is actually a conurbation of several cities including Santa Catarina, San Pedro Garza García, Guadalupe, and Monterrey itself, among others. We started our tour in San Pedro, home of many international companies, many high rises, posh homes hugging the hillside, and many more high rises under construction. Unfortunately, it was a gray and drizzly day for our tour, but luckily it didn’t graduate to full-on rain. 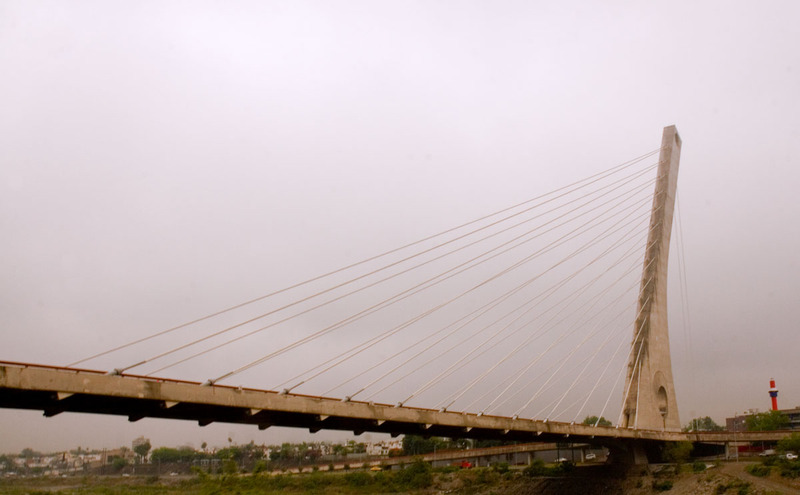 As Tino lives in Santa Catarina, we had to cross the modern (2003) and controversial Puente de la Unidad, a single-tower, cable-stayed bridge. What’s the controversy? The bridge has four lanes, but a more boring design could have provided six for the same cost. Frankly, we think that as time progresses people will become increasingly happy with this striking bridge, which reminds us a little of the new-ish Zakim Bridge in Boston, which became a landmark almost overnight. Unfortunately, conditions did not permit a better photo. First stop in San Pedro turned out to be the Hospital Zambrano Hellion, a beautiful, modern, and enormous facility. No, we weren’t sick. We just were looking for a tall building from which to see the vista, at least as much as the fog and mist permitted. We entered the lobby, went to the elevator and hit the button for the fifteenth floor, top of the building and administrative offices. There, we managed to sweet-talk our way into being let onto the roof deck, from which the view must be truly breath taking on a clear day. That day it was somewhat mysterious, but still impressive. The below panorama is composed from three separate photos. Click to enlarge. 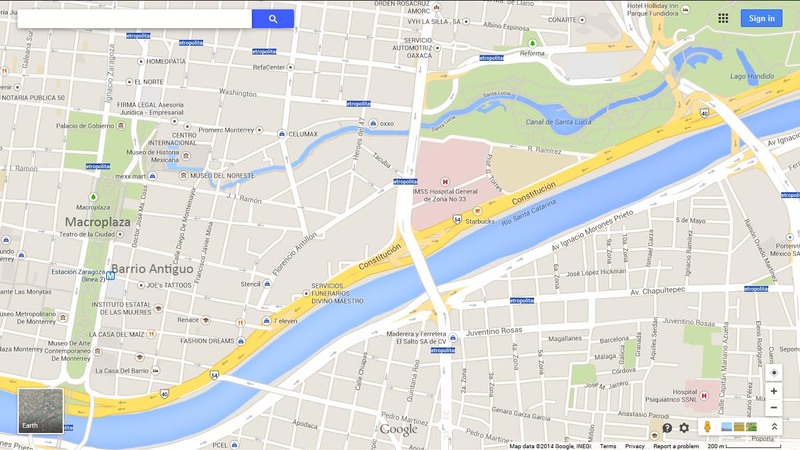 After San Pedro, we headed into the center of Monterrey to check out the Macroplaza, the Barrio Antiguo, and the Paseo Santa Lucía, a canal and sort of “riverwalk” a la San Antonio, which connects the Macroplaza to the Parque Fundidora. At about a kilometer in length and spanning a wide city block, the Macroplaza is an impressively large space, though it’s broken down into a series of sub-plazas and gardens, so you aren’t confronted with an endless stretch of unbroken plaza. And the underground parking came in handy, as that’s where we parked. 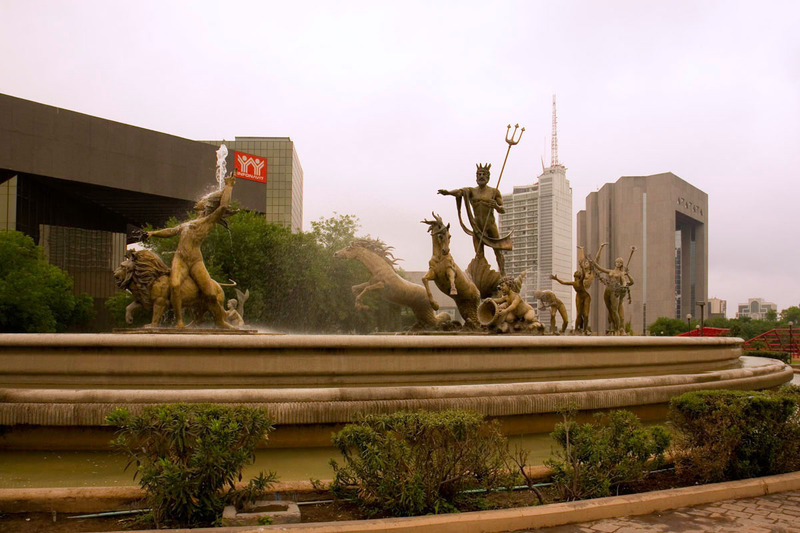 As we emerged from the parking, the Fuente de La Vida welcomed us to the plaza. 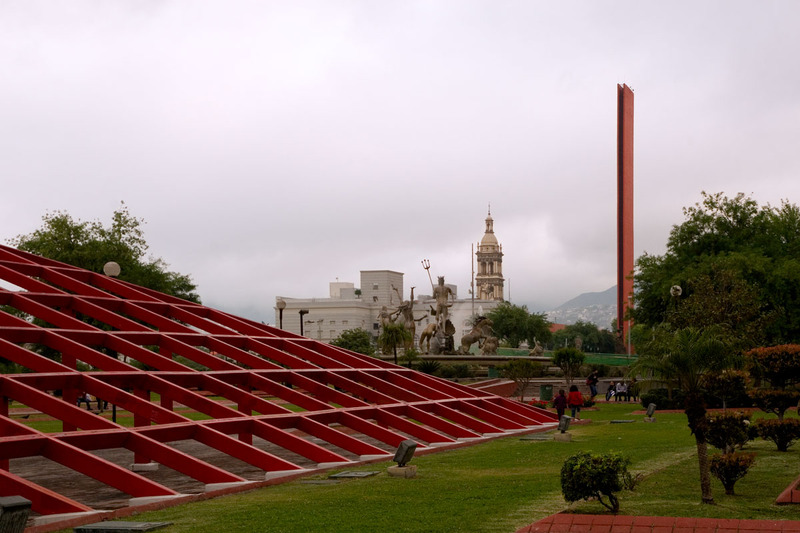 Constructed in 1984, it celebrates the completion of Monterrey’s Plan Hidraulico, or Water Plan, which included the construction of the Presa Cerro Prieto, and a 20 KM aqueduct to carry water (a precious commodity in these dry parts) to Monterrey. From there we strolled around the plaza. 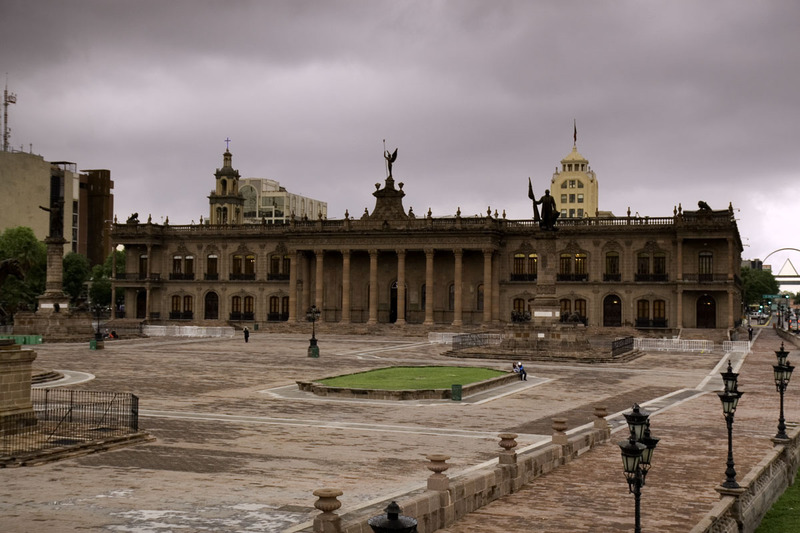 At the northern end lies the Palacio del Gobierno, the seat of the state government. Unlike many of the city government buildings, this is a handsome 19th century building which was started in 1895 and finished in 1908. We love the traditional plaza it faces. We continued strolling around the plaza a bit, then headed into the Barrio Antiguo, immediately to the east of the Macroplaza. 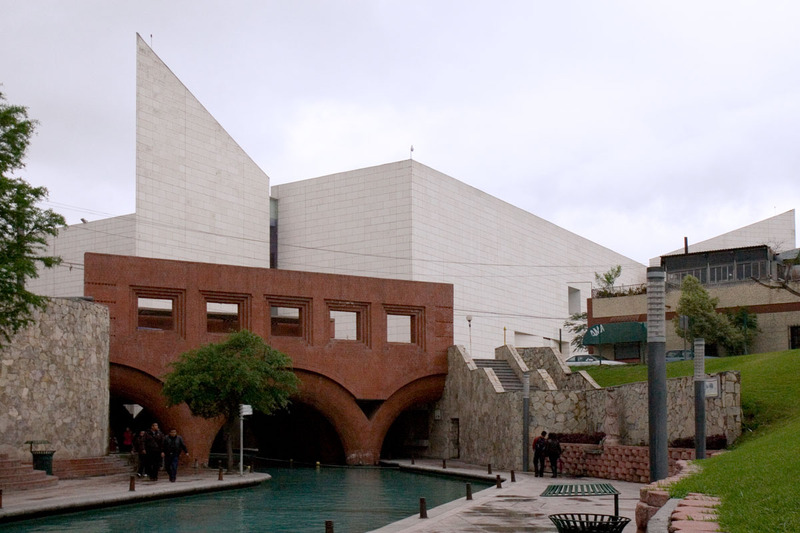 Monterrey is a city that prides itself on being modern, progressive, and forward-looking. 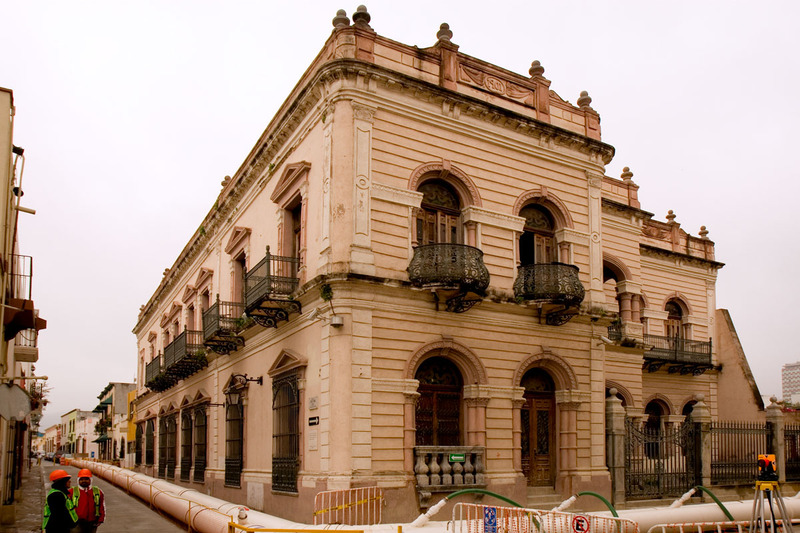 And in many ways it is unlike the rest of Mexico, which is more steeped in tradition. For example street vendors are seldom seen, being confined to a few mercados here and there. Second, most of the city is fairly new, with modern architecture, many American-style malls, and an increasing number of high rises. We also noted few street performers such as clowns, flame swallowers, etc., though that could just have been happenstance. That said, there is still a bit of Old Mexico in the Barrio Antiguo. Despite the local love of the new and modern, it’s heartening to see that the Barrio Antiguo has become a hip hangout, with trendy stores, bars and cafés. This, more than anything else ensures its continued survival. There in the Barrio Antiguo, Tino showed me his junior high school, which is next door to the State Museum of Popular Culture of Nuevo León. Interestingly, as a boy, Tino and his buddies could climb up a wall, and then peer through a hole into this museum to see the murals inside. But it turns out, he had never visited the museum itself. So both of us saw the murals fully for the first time. As is common, the murals provide a pictorial representation of Mexican history from the pre-Hispanic era through the present. Unfortunately, it was too dark inside to get decent pictures. After lunch in the Barrio Antiguo, we made our way to the Paseo Santa Lucía. This is a truly impressive project, which was finished in 2007. 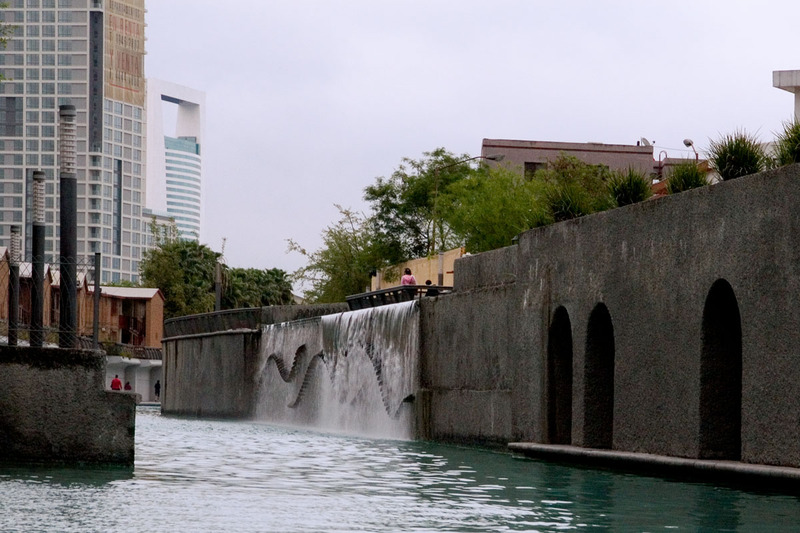 It’s a bit like San Antonio’s Riverwalk, but instead of being a river, it’s a canal that looks a bit like a kilometer long (more or less) swimming pool that leads from the edge of the Macroplaza to the Parque Fundidora, which is also an impressive site. Along the canal are sculptures, restaurants, bike paths, skating paths, and in the Parque Fundidora, loads of open, green space. When we got to the end closest to the Macroplaza, we bought tickets for the boat, and took a ride down the canal toward the Parque Fundidora. Farther “downstream.” Along the canal lie apartments, high rises, and other multi-use space. Getting closer to Parque Fundidora. Note that night was falling, so the pictures get darker as we go along. The tower pictured is a good example of Monterrey’s ultra-modern architecture. After we got off at the end, we climbed up a bridge to take the photo looking back on where we had been. At the end of the canal lies the Parque Fundidora, which comprises an old steel mill founded in 1900 that closed down around 1980, and its extensive grounds. It sat vacant for years, until the city assembled a team of experts to turn it into a park and museum in 1988. 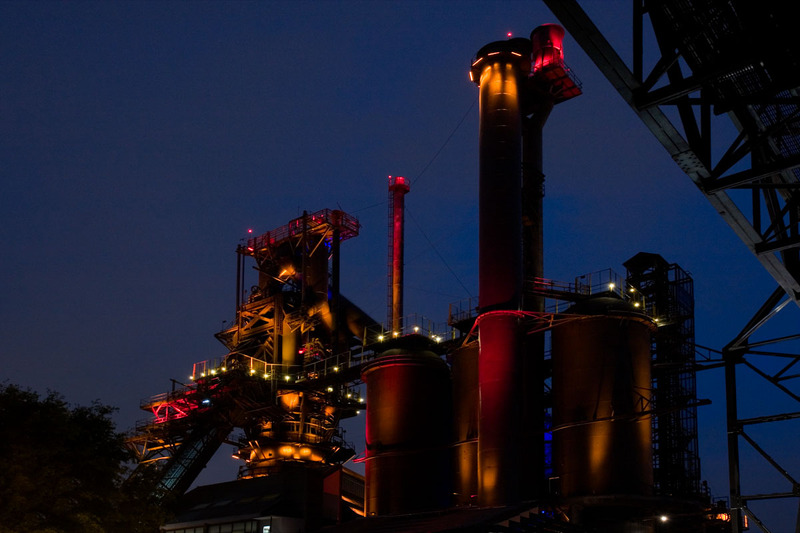 Time and space prevent a detailed exposition, but Furnace #3 has been preserved as a museum, and you can take a rather scary, open-air elevator ride to the top to see the furnace and the view. Needless to say, this appealed to my love of large machinery and vistas simultaneously, so skipping it was not an option. Again, though the mist had lifted a bit as the day progressed, it was by no means clear. But on a clear day, the top of Furnace #3 (which is the top most bit on the left side of the picture) would provide an excellent view of the central part of Monterrey. We spent a good half hour up there, taking photos of the mill and each other. By now, Tino’s partner had joined us, and we were all hungry. In true Monterrey fashion, we adjourned to a mall where we had dinner at Souper Salad, which provided a healthy and tasty end to a splendid day. Thanks, Tino!!! Please note that this post is also a few days behind actual events. I’m now in Zacatecas, where I’ve decided to stay at least through Sunday mid-day, and I’m contemplating adding another day. Saludos! Jump to the next post from this trip. Hola Belen! I love your city too! Thanks for stopping by and commenting. Any subsequent comment will go straight through. Saludos! Very interesting post. I have not been in Monterrey since participating in a huge trade show of the restaurant industry in 1992. The convention center there is a marvel that many American cities could emulate. There are retail stores on the street level with the convention center accessible by escalator. The retail stores of course help to finance the day to day operations. Monterrey embraced NAFTA at its inception. That law, among other things, helped to change the face of Monterrey in many good ways with increased exportation. I was involved and instrumental in a joint agreement that was signed by CANIRAC, the national restaurant assn of Mexico and the TRA, the Texas Restaurant association, to import and export not only equipment but knowledge between countries. I was very honored to be part of that exchange. I’m impressed to see the photos of the waterway that has been created. Not an easy achievement anywhere. As many times as I’ve been in Monterrey, I’ve never seen the sun due to the massive cement manufacturing that goes on there. Hopefully some day that will be modified in some way to provide fresher and cleaner air. Hi Barbara! Wow! Thanks for that great comment. I know we talked about the air before I went there. And as I left, I took some pictures that definitely showed smog, but the day I spent in Monterrey, the air seemed fresh and clean. Maybe it has gotten better? Maybe the winter is better? Whatever the case, the air was fine for the couple of days I was there. Saludos y abrazos! The bad air is why you have no sun. It’s the particulates from the cement dust in the air. DF used to be that way in the 80’s. The children never saw the sun there either. Well, the day I was there, it was definitely fog and rain. But there may have been particulates hiding in that mist too. Saludos. Thanks! I think I need to take another “down day” today as I nearly walked myself to death yesterday. My desire to sightsee exceeds my stamina for walking. I sit here with blisters on my feet, and aching calves, LOL. Saludos. Everything one hears about that area is related to violence, drugs and cartels. Your report puts a different slant on it. So much of Mexico is under the stigma of that dark side while there is so much to see and enjoy. The area does not give one a ‘Mexico’ feel. I have never been there – thanks for taking us along. Hola John. Los Angeles, CA has plenty of violence, but that doesn’t stop it from being a fascinating city where people go to walk the “Walk of the Stars” in Hollywood. As for Monterrey, it has its problems, but is a much more beautiful and fascinating place than any of us imagined. Thanks for commenting. Saludos. During my year in Laredo, I never made it to Monterrey. You make me wish I had. Of course, it was a far different city then. Steve, based on all the new stuff, I think Monterrey was a very different place when you were in Laredo. But there’s no reason not to go now. And I imagine that you could probably twist Tino’s arm to have him show you around. Saludos! Hello, Kim, I have to say that this is a most impressive travel report, filled with detailed descriptions and very enlightening data, and anybody can see that you not only wrote what you saw but also did a very good homework research-wise. As I was reading it line after line and looking at the pictures, my mind instantly went back to the exact moment when they were taken and remembered the scenes, the lights, the sounds, and the aromas, not to mention all the chatting we did. To say that being your tourist guide made me come to peace with my city is an understatement — it rather made me fall in love with her again, much like the bored husband and his old lady in the song “Piña Colada”. I thank you for being the cause of my re-appreciation. Certainly other Mexican cities are filled with magnificent cathedrals, Colonial buildings, beautiful plazas, and colorful markets filled with delicious aromas and charming works made by indigenous artisans, but Monterrey is no better and no worse — it’s just totally different. Your description of Monterrey as “a city that prides itself on being modern, progressive, and forward-looking… ” is absolutely true, and though many of us resent that a number of magnificent old buildings were demolished to give way to modern constructions, it is a fact that the character of Monterrey is contemporary. Both Rodolfo and I send you our love, we’re very happy with life for giving us such the kind-hearted, charming friend that’s you. Awww, Tino. I’m so touched by your comment, and your never-ending kindness. Really, I feel like I’ve made some wonderful, new friends. We will surely get together again on my return. Hugs, Kim. Wow, that place looks quite interesting and the building are definitely different then the cities we have passed through. Possibly one of these days we will load up for a road trip to see a friend of mine who just packed up his whole family from nutso California and moved to Texas. 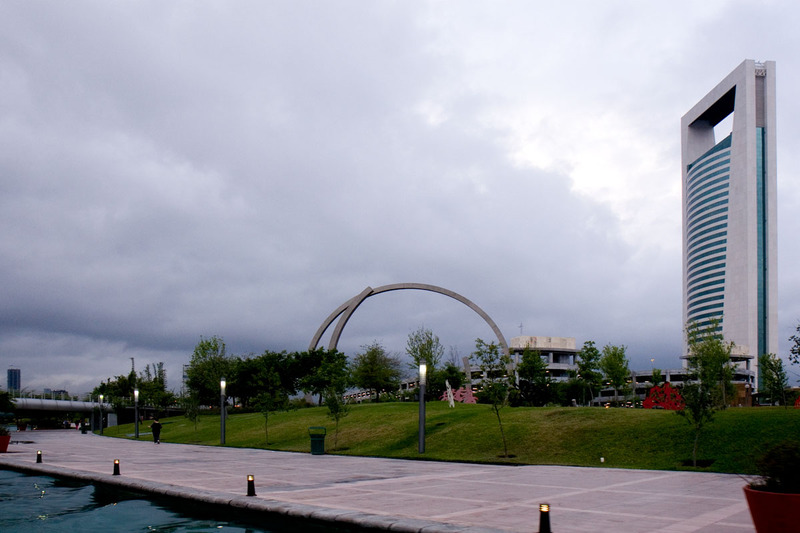 Monterrey looks so modern, especially the Paseo . Great pictures and comments, sounds like you are really enjoying the trek! Thanks, Tancho. Yeah, I was pleasantly surprised by Monterrey. Who knew? Saludos. Hola Don Cuevas! Indeed, I did eat cabrito al Pastor, but it’s in the prior post. Frankly, I was a bit nervous about it as I’m not particularly fond of lamb, but since Tino and Rodolfo took me to a place that specializes in it, I felt I had to try it. Wow! It was delicious, with a flavor somewhere between goose and turkey, if that makes any sense. Not gamey at all. Saludos! Very impressive photos all around! The last one – se ve mágico. Thanks, Andean! I love taking photos, and just came in from taking what I hope are some wonderful photos of Zacatecas. Gracias por pasar aquí! Saludos. A good report on Monterrey. Thanks, and it looks like you made some special new friends. Peter, it’s amazing. Tino and I both feel like we’ve known each other MUCH longer than we have. I feel blessed to call him a friend. Saludos. A truly great report. 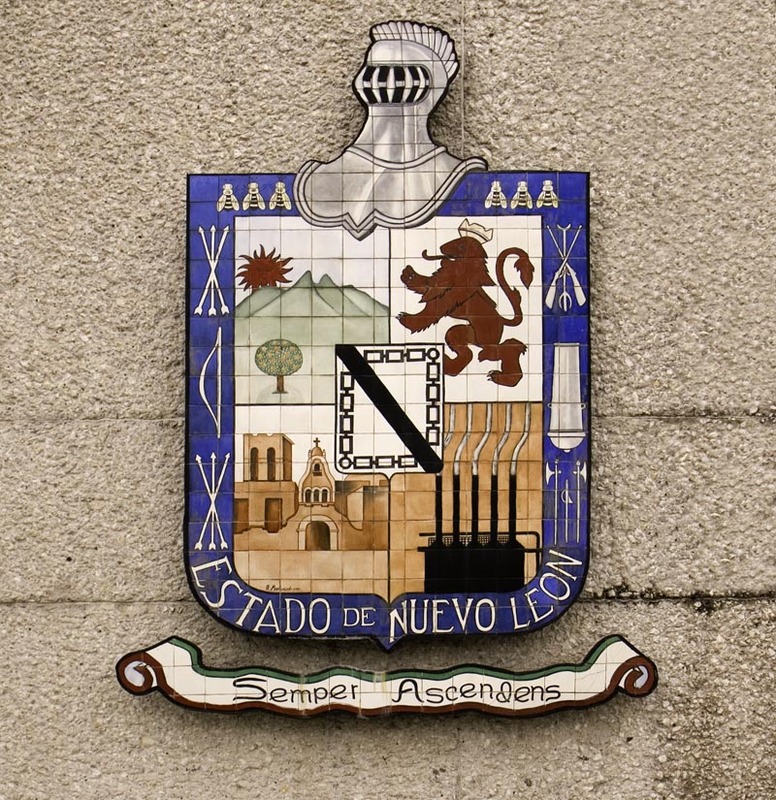 I have never set foot in Monterrey, just gone around it on the outermost Libramiento, and I admit I have swallowed totally the bad crime/narco rep it has, in part due to its proximity to the border, which generally is the area you most want to avoid in Mexico. I had no idea Monterrey possessed the things you show here. Very impressive. Thanks for the enlightenment. Conurbation? Have you and Cotton been putting your heads together? Felipe: Thanks for the kind words. I’m finding that while the blogging takes a fair bit of work, it’s also deepening my understanding of the places I’m visiting, and forcing me to be more observant as I go about. As noted in some of my other responses, Monterrey surprised me too. As for “conurbation,” it’s a word I learned in an urban design class I took as an undergrad. Saludos. P.S. If all you had seen of Monterrey was the outskirts, you’d definitely want to flee. Of course that’s true of DF too. Thanks for an interesting glimpse at a very different aspect of Mexico. Continued safe and happy travels. I look forward to future posts. Hey Bill! I’m so sorry to hear about the snow. DO NOT under any circumstances look at the weather forecast for Zacatecas, LOL. Monterrey impressed me. It’s another side of Mexico most haven’t seen or heard of. Saludos. My husband use to travel some to Monterrey on business. He didn’t like it because he said it was hot and dusty and wasn’t like colonial Mexico. Your post made me want to go see it because I love good contemporary commercial architecture. Hi Billie: Truth be told, I initially didn’t much want to go to Monterrey either. I had heard all the stories of hot, dry, and dusty, along with the lack of old Mexican charm. And truth be told, it’s probably best seen in spring or fall as the rumors of hot weather are true, at least if you go by Tino’s stash of fans. But the city is far more interesting than I had expected, and I’m glad I went. Of course making a couple of good, new friends didn’t hurt either. Saludos. 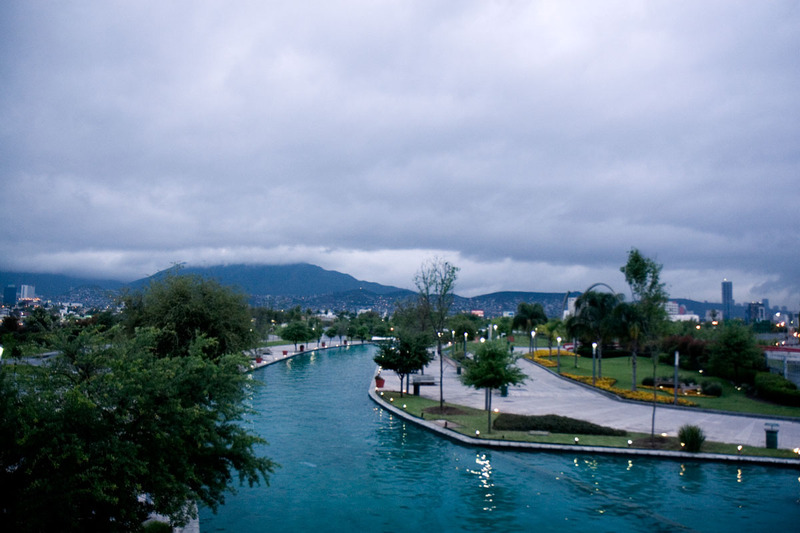 I had no idea Monterrey was so modern and in a big city way, beautiful. The picture of Paseo Santa Lucia is gorgeous. Thanks for the eye opening post. Thanks, Francisco. Until last week, I was in your camp, just as unaware of the charms of Monterrey as any other Gringo. Saludos. How Much Does it Cost to Live in México? Zacatecas - The Most Magical Mexican Mountain Town?